Omg! Where do I even begin??!! The staff and bartenders are wonderful ... food amazing!!! Can't go wrong with anything on the menu! Decided to try their brunch menu, which turned out to be a great decision! Was greeted at the door by the manager (Joel Diaz). My server Alex was attentive and kind the entire time. The daily scramble was delish and their bottomless mimosas as well. I look forward to bringing my friends here to experience Marlow’s Tavern as I did today. I can't believe as many times that I've raved about this place to friends, that I haven't written a review. Aside from the food and the ambiance being really top notch, what is truly remarkable is the service. You get a sense that the people who work there genuinely care about their customers, they are extremely professional, incredibly attentive (which is amazing when they are super busy) and more importantly just very kind and sincere. 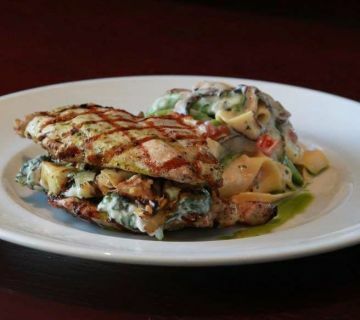 There’s a better way to dine out tonight, and it’s at Marlow’s Tavern. 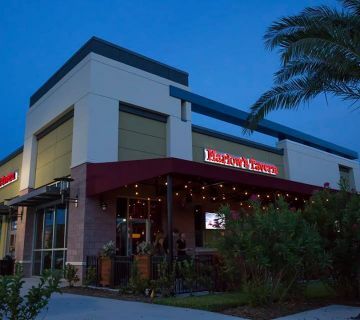 We are where modern class meets classic tavern comfort, a place where you can eat some of your favorite foods while enjoying a contemporary atmosphere. 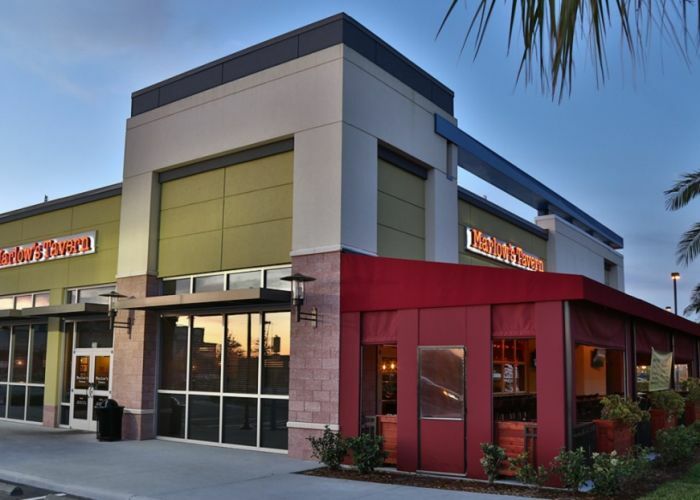 Whether you’re looking for the best corner bar in Lee Vista, FL, or you’re hoping to find somewhere to take the family out for a meal, Marlow’s is the place to be. Our handcrafted food and specialty cocktails, combined with our warm environment and friendly staff, make for a dining experience that everyone can enjoy. 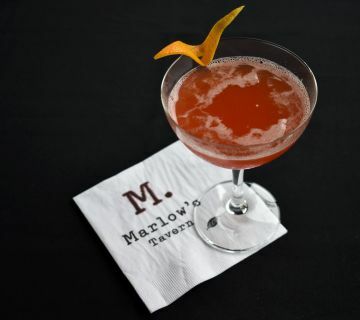 If you’re looking for a place to kick back, relax, and enjoy some classic food with a classy twist, then meet us at Marlow’s. You can join your coworkers for lunch, your parents for dinner, or your friends for Sunday brunch—Marlow’s is great for any occasion. 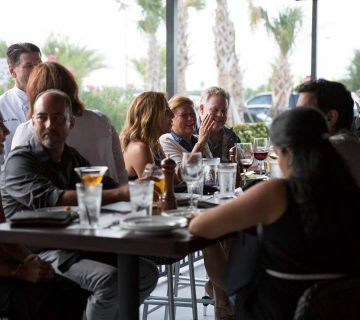 Our outdoor patio seating, or our comfortable indoor booth style seating, can suit whatever mood you are in. If you need a happy hour cocktail after arriving at the Orlando Airport, we certainly have you covered! 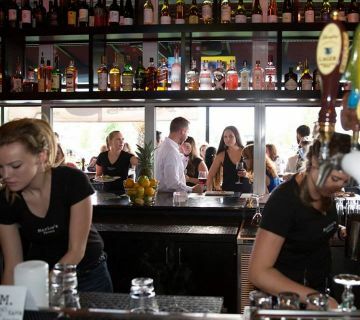 We offer happy hour from 4-7pm and 10pm - close. Feel free to check out our menu online to get familiar with our food and drink options before stopping by, as well as our dining hours and any upcoming events. We look forward to seeing you soon! 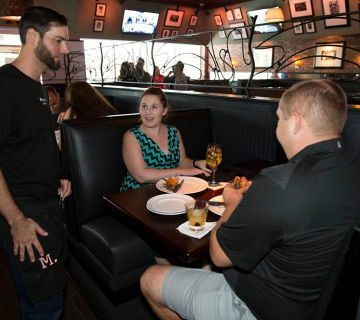 If you like quality from-scratch comfort food, a flare of the contemporary, and the chance for regular dining or even late night happy hour in Lee Vista, FL, then come see us at Marlow’s. We keep it classic with a burger and fries, and also offer some more adventurous entrées, as well as fresh salad options. We even have a kid’s meal that will satisfy that picky eater! Our drinks menu includes a wide variety or red and white wines, handcrafted cocktails made to order, and a beer selection of both local and imported varieties to compliment your meal. 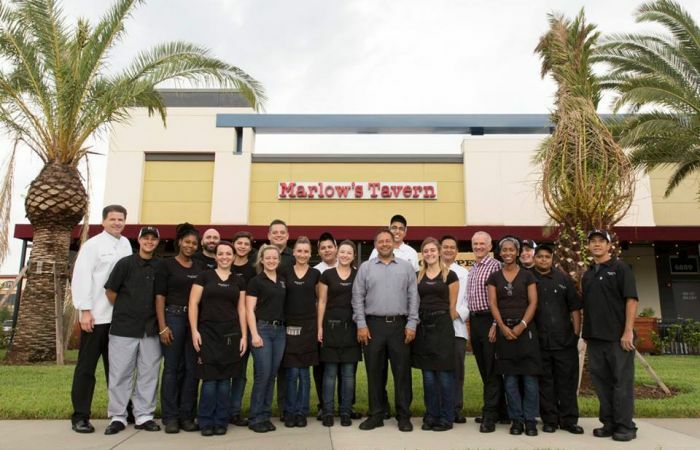 We believe that the heart of Marlow’s isn’t just in the great atmosphere or the made-from-scratch food in Lee Vista, FL. It’s in the people. We want to be a place where the local community can come together to share life and a meal together. Our team believes community is important, and that’s why we make it such a priority to give back to the community through charitable giving, and through backing fundraising or social initiatives that we really believe in. 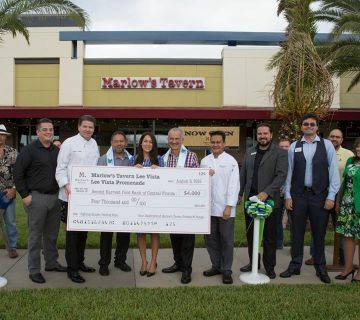 If you want to know more about how Marlow’s Tavern is giving back to the local community, then check out our community and events pages to learn more. Questions are always welcome! If you want to know about events hosting, large dining parties, or more about our menu options, then feel free to contact us. We’d love to hear from you!